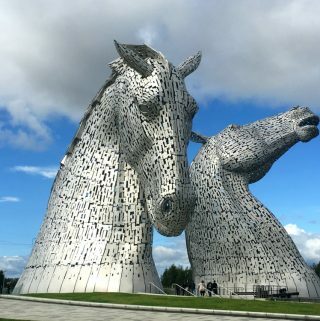 Get your regular fix of Scotland Bucket List inspiration! Any post on this site may contain affiliate links. If you use them, they cost you nothing extra. We make a small commission. Are you a fan of the gram? I definitely spend way too much time on Insta, however, saying that, I do find it a great source of inspiration for trips and travel. 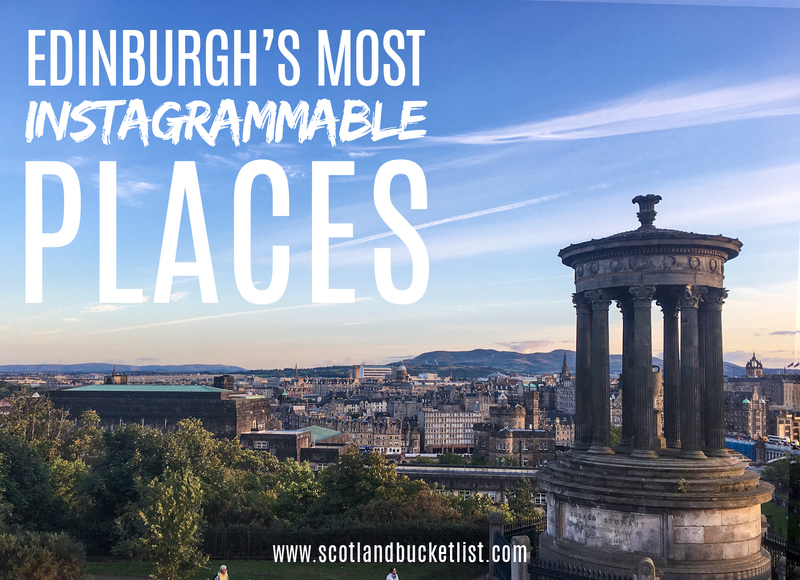 So if you’re looking for some photography inspiration for your trip to Edinburgh, this is the post for you…. 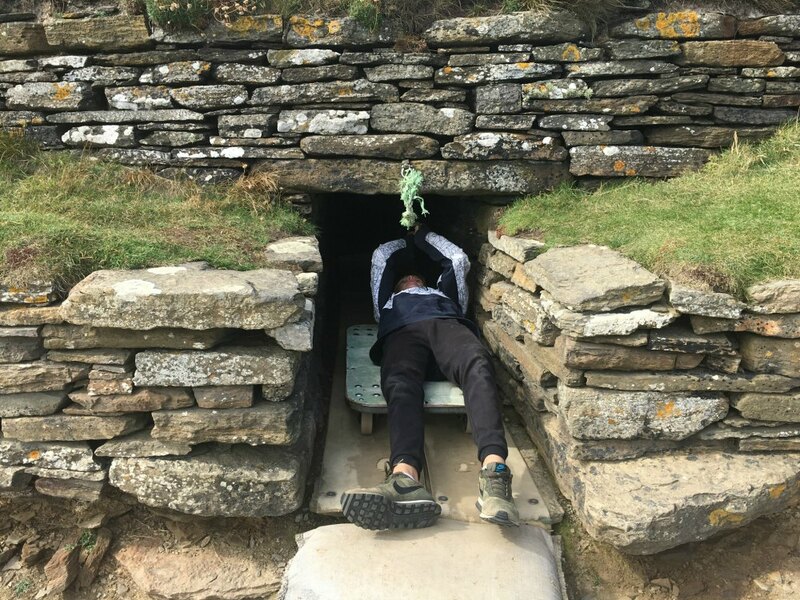 What I think makes the Orkney Islands such a special place are the many traditions that are celebrated throughout the year. These festivals and events often have roots that go back hundreds of years and are very much embraced by locals. So here’s a roundup of some of the best Orkney festivals for the coming year. We start the calendar of festival with St Magnus day on the 16th of April. 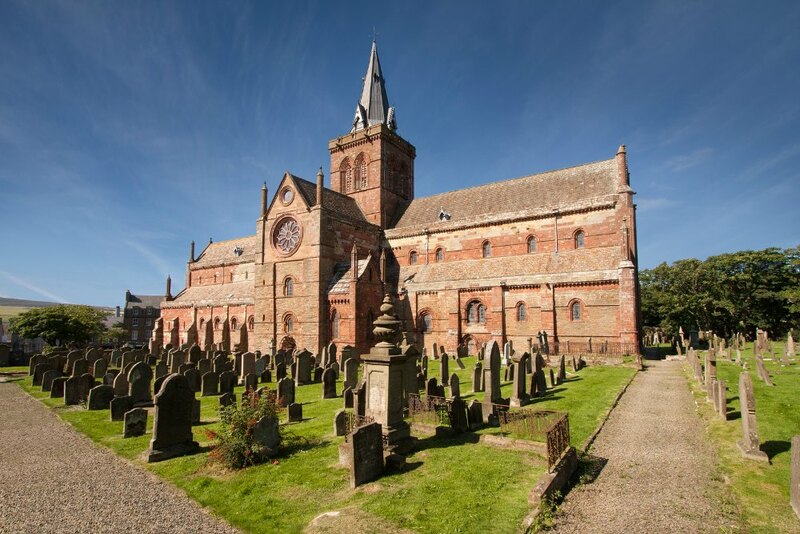 This day commemorates the Viking rule of Orkney in the 12th century, which resulted in the building of the St Magnus cathedral. 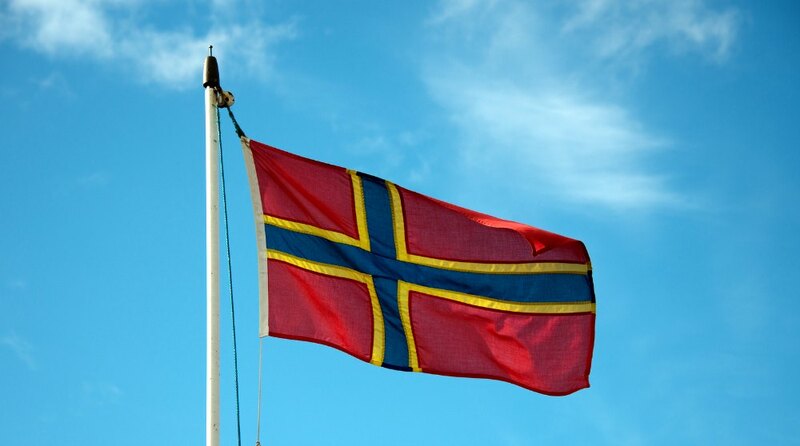 Expect to see Orkney flags flying from public buildings. 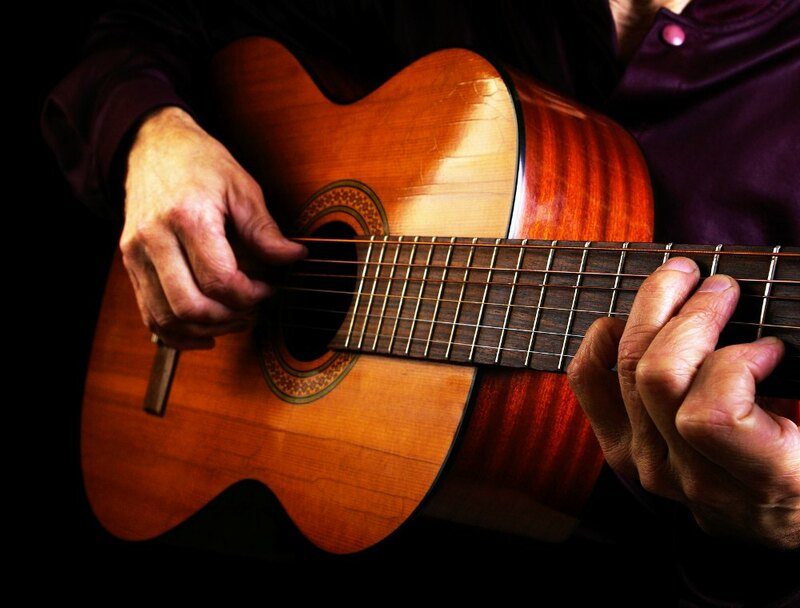 If you are a fan of traditional music, you won’t want to miss the Orkney Folk festival at the end of May from 23rd May til 26 May 2019. The town of Stromness is the focus for all things Trad, as the sound of fiddles resonates around the busy streets. It feels like music is coming from every bar and public venue, a great atmosphere. Click here for the full programme and details on when tickets go on sale. 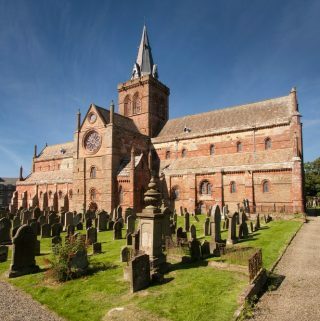 Around mid-summer in June, the St Magnus International Festival arrives in Kirkwall. It’s not uncommon for a member of the Norwegian royal family to make an appearance. This is a large cultural festival that features orchestras, soloists, opera, dance and theatre. Last year, the Hollywood actor Bill Murray even performed an array of music and readings! The festival will take place 21-26 June 2019 and full details of this 5 day long festival can be found here. In the middle of July, the town of Stromness has a festival atmosphere, with floats parading through the streets and bands playing. This is because it’s Stromness Shopping Week, one of the longest running festivals in Orkney. There is street entertainment for both children and adults, a beer race, a swimming race and a 10k running race. And of course, the Shopping Week Queen is crowned, the highlight for some. It’s all rounded by a massive dance in the evening with live music provided by a top band. 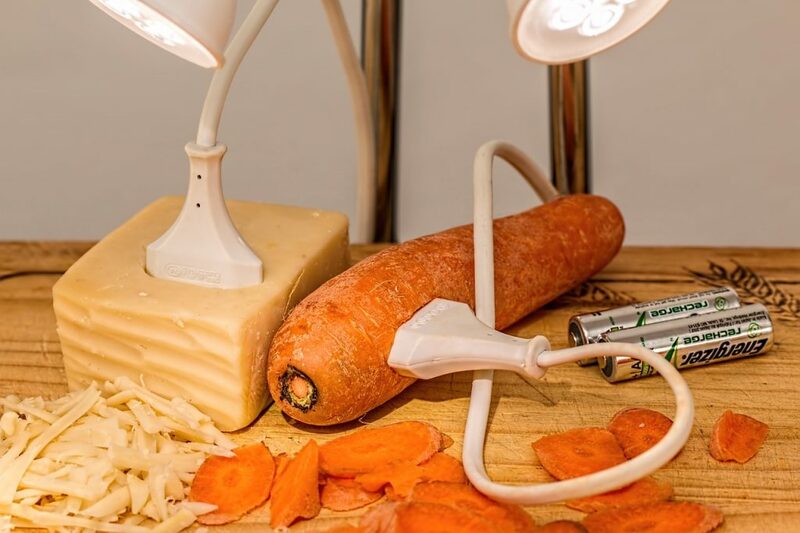 Dates for Stromness Shopping Week 2019 are 21-29 July 2019 and full details of what’s on can be found here. August is the season of the agricultural shows in Orkney, with the largest taking place in Kirkwall on the second Saturday in August (10th August 2019 this year). It’s called the County Show and lasts a day and a night. 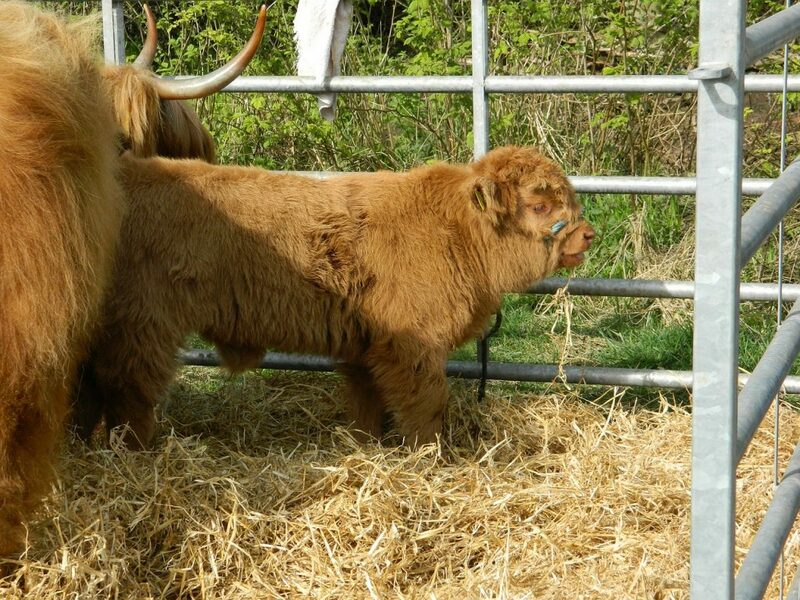 During the day farm animals are judged and awards given, agricultural suppliers and local producers have trade stands and there are many places to buy refreshments. Once again, the main event is an evening dance, with live music that goes into the early hours of the next morning. A much more low-key event is the Orkney boys ploughing match that takes place towards the middle of August. The venue is a beach on the island of South Ronaldsay and the aim is for a boy to pull a miniature plough along the sand. The boy that pulls the straightest plough is the winner. This event is unique to Orkney. 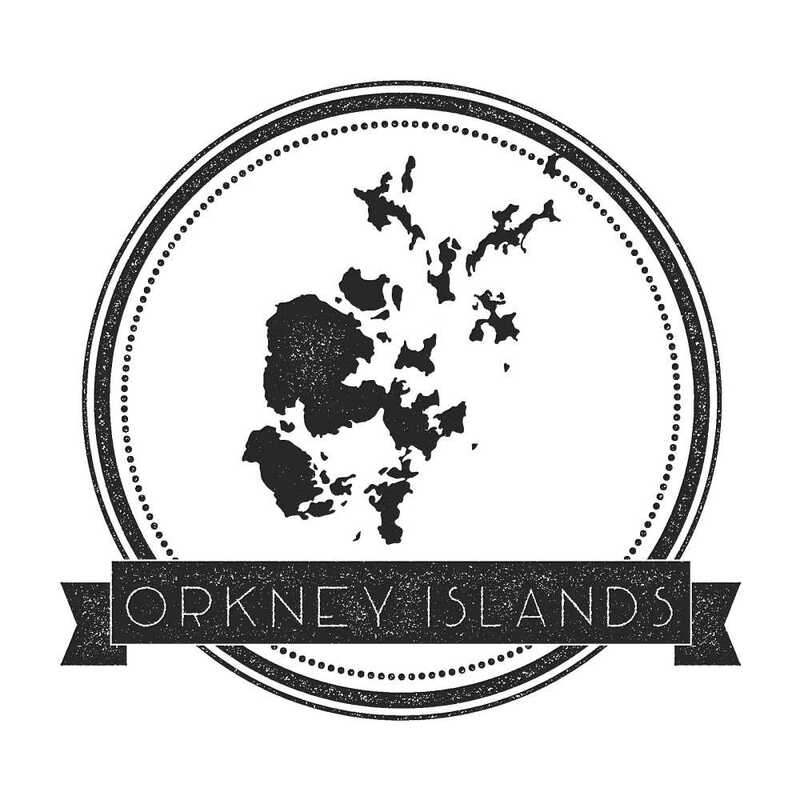 This festival is a more recent addition to the Orkney calendar as it was only established in 1991. 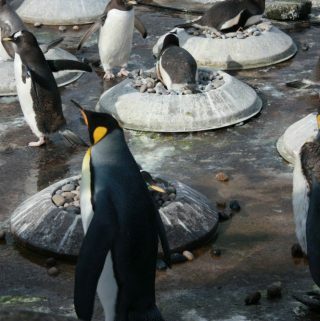 But the Orkney Science Festival in September is a firm favourite with both locals and tourists. In the past it has been attended by the chief scientist of the Discovery Channel, Nobel prize winner Peter Higgs and filmmaker Alan Ereira. The festival theme covers all forms of science including astronomy, space travel, medicine, archaeology, genetics and black holes. There is also the chance to enjoy some excellent local food at the festivals food events. It’s a brilliant festival for both old and young. Founded in 1137 by the Viking Earl Rognvald, St Magnus Cathedral is the most northerly cathedral in Britain. The enduring ties between Orkney and Norway are demonstrated yet again during the festive period when Norway gifts a Christmas tree to the people of Orkney. A special tree lighting ceremony takes place at St Magnus Cathedral in early December and includes the annual St Lucy Procession, as well as a performance by Kirkwall City Pipe Band. Finishing with Christmas and New Year, we have the Ba’ which takes place in the streets of Kirkwall. It’s a game which is a kind of mix between football & rugby. The Uppies teams aim is to land the ball on a street next to a catholic church while the Doonies target is to get the ball into the icy water of the harbour. The games take place on Christmas Day (25th December) and New Year’s Day (1st January) unless these fall on a Sunday, in which case, they get moved to Boxing Day (26th December) and 2nd January. 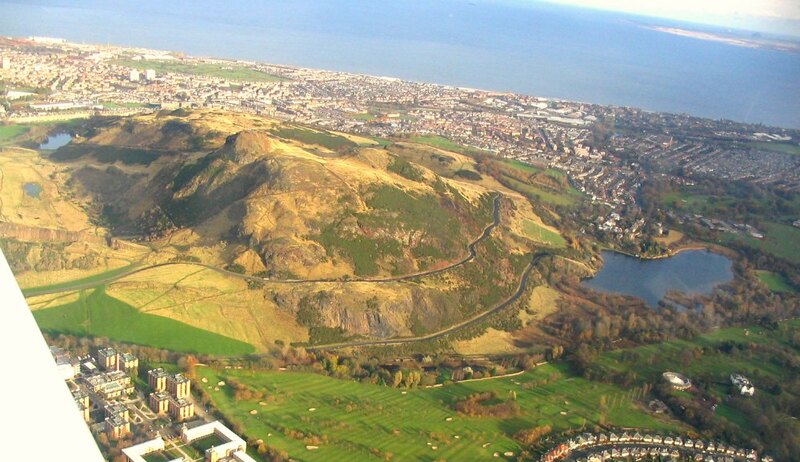 9 Sporty Activities in Edinburgh That Don’t Involve Going to A Hotel Gym! 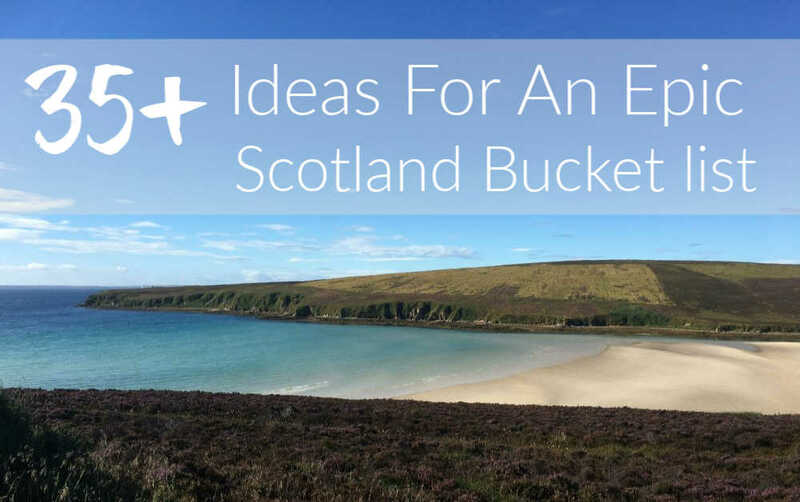 Compiling a bucket list for Scotland is not an easy task! This is because, in all honesty, there are just so many possibilities. 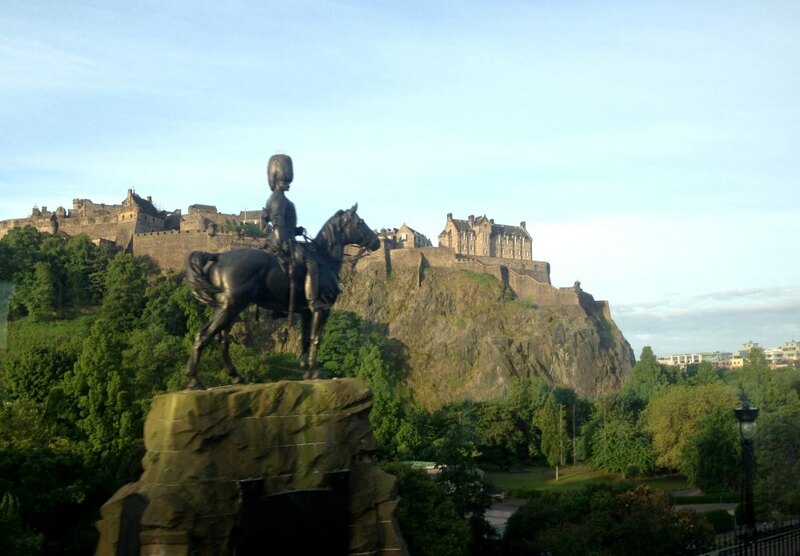 Whether your preference is for a bustling cultured city or a wild wind-swept island beach, Scotland has it all…. 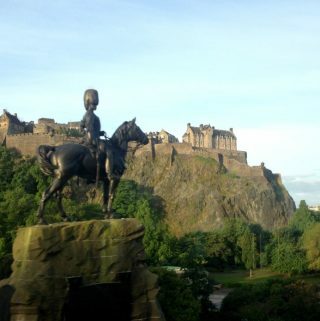 Compiling a bucket list for Edinburgh is both an easy and hard task, it’s a city where there is so much to see and do. 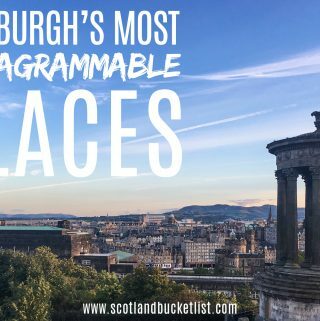 Having had the experience of being an Edinburgh local for many years, I hope there will be a few unique items on this list for you too…. If you’re wondering how to get to Orkney, you’ve come to the right place. During my time living on Orkney, I had the pleasure of experiencing everything from small boat to twin engine plane when it came to crossing the Firth. And on occasion, I survived a few rough ones, so it’s always worth checking that boats are running during adverse weather. To start with, why not consider one of the four boat crossings… one ferry leaves from Aberdeen and three depart from the North coast of Scotland (perfect if you’re doing the North Coast 500). If you find yourself in Aberdeen, NorthLink operate a night ferry which stops off in Kirkwall. Although don’t fall asleep as you might end up in Shetland! The two modern ships used for this route are large at 125 metres long and carry freight as well as your car. You won’t be disappointed by the facilities either. It’s possible to book a cabin with an ensuite bathroom should you feel the need for a little luxury. For the ultimate ferry-crossing experience, you can take the Magnus Lounge upgrade with free tea, coffee, snacks, newspapers and charge points. Feeling bored? How about watching a movie in the on-board cinema? Other options to pass the time include having a drink at the bar, a tasty meal in restaurant or a spot of shopping. The ferry lands just a short 5 mins from the Tomb of the Eagles. So, you have made it to John O ‘Groats, but you find yourself staring across the ocean longing for further adventure. Well fear not, this isn’t the end of the road. 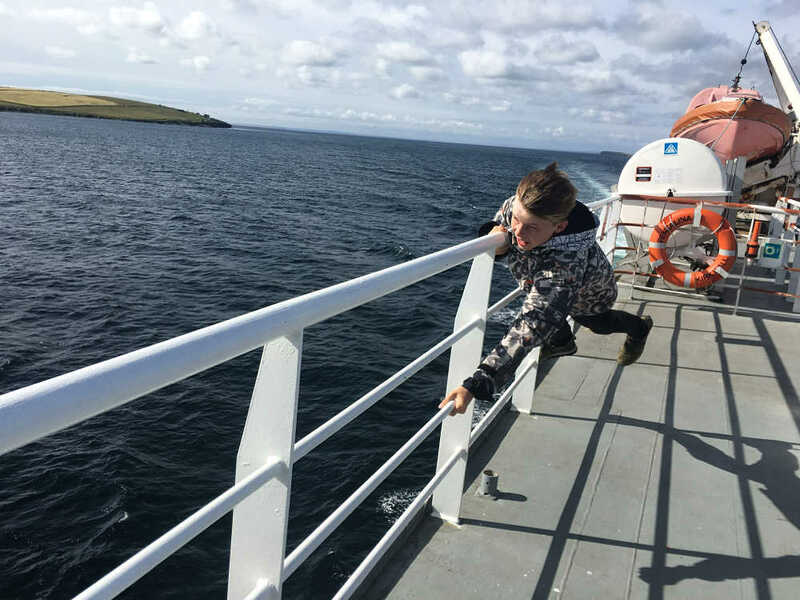 There are ways to cross the wild waters of the Pentland Firth which thankfully don’t include swimming. If you would like to take your car to Orkney, then don’t take this boat as it’s for foot passengers only. The MV Pentland Venture isn’t the largest ferry at 33 meters, with a maximum of 250 passengers, but it does get you across the water rapidly. It’s also a great price at £20 a pop, plus your bike and dog is free. Facilities are more basic, consisting of toilets and coffee. Once you reach the other side, a transfer bus to Kirkwall will be waiting for you and takes around 40 minutes to reach the capital. In addition, there is an option to board a connecting bus in Inverness that meets the ferry. Please note this service only runs from May through to September. It can get pretty windy on deck! 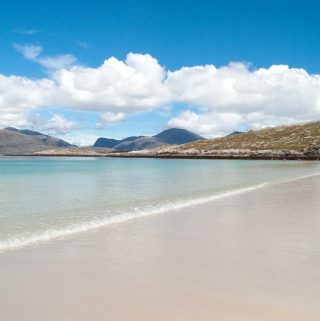 Gills Bay is also located on the North coast of Scotland, a stone’s throw from John O’Groats. Having taken this boat recently, I can confirm that the restaurant on the MV Pentalina, makes a mean bacon roll. Outside there is a viewing deck with seating and inside some big comfy chairs next to large picture windows. 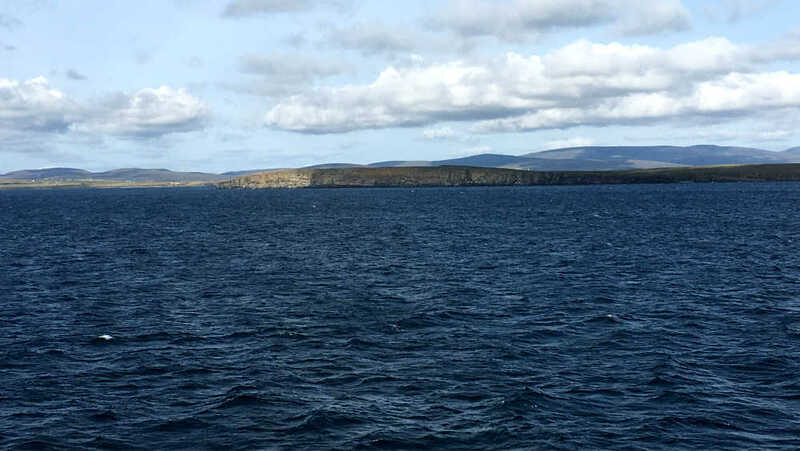 The view is incredible as the boat weaves its way through some of the 70 islands that make up Orkney. If you have your car onboard, then you have chosen the quickest and cheapest way to cross the watery stuff. The boat itself is a modern powerful Catamaran which is large enough to carry lorries as well as cars. 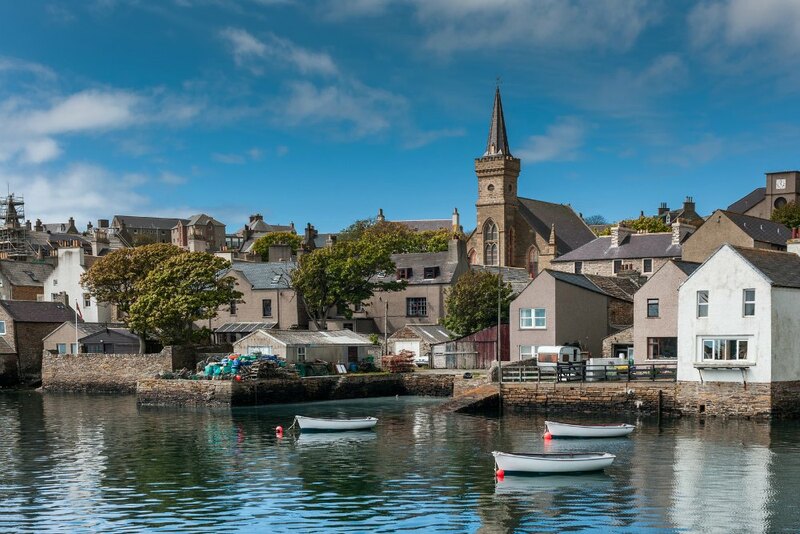 You will arrive in the picturesque fishing village of St Margaret’s Hope with a 25-minute drive to Kirkwall. We chose the short drive south to visit the Tomb of the Eagles first. Check out our itinerary if you opt for this particular ferry crossing. 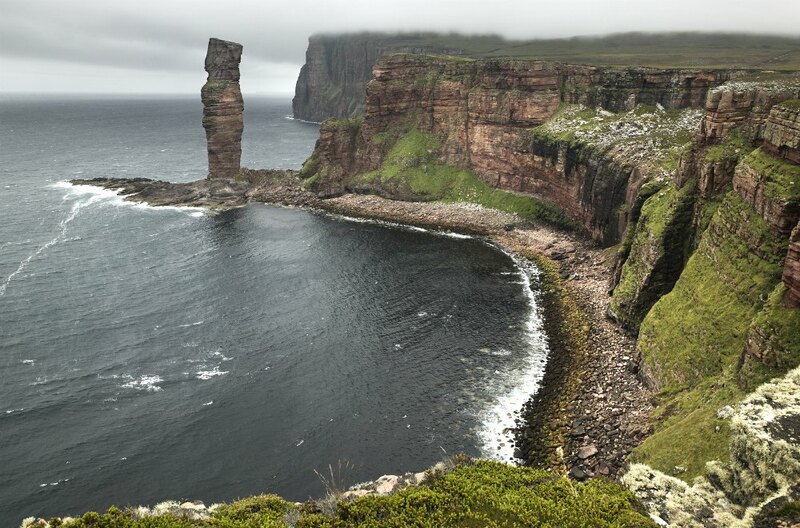 You’ll get a fantastic view of Rackwick Bay and the Old Man of Hoy from the ferry. Scrabster is located on the North coast of Scotland, 1½ miles from Thurso and 22½ miles from Wick. This route is also is also run by the NorthLink ferry company and the MV Hamnavoe boat has a similar flavour to the Aberdeen ferry. It’s smaller at 112 meters, but it’s plenty big enough to transport freight as well as passenger cars. For me, the top reason to choose this option would be the incredible view of Rackwick Bay and the Old Man of Hoy. If you are a fan of the finer things in life, then take advantage of the comfortable Magnus Lounge for £7.50. You will get a free bacon roll and coffee on a morning sailing or a drink at the bar during the afternoon crossing. 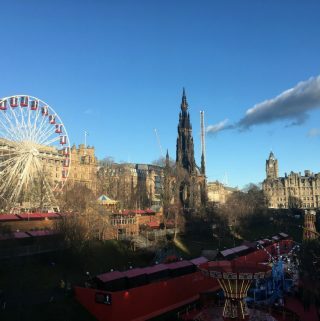 Don’t panic if you are travelling in the cheap seats, there is a restaurant and bar to enjoy. Scrabster is a 35-minute drive from John O’Groats and 30 minutes to Gills Bay. 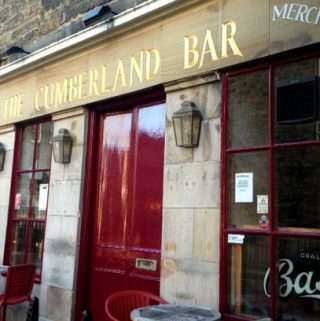 One the other side, Stromness is Orkney’s second largest town with a good range of restaurants, hotels and shops to explore. The final option, which is by far the easiest and quickest, is to make like Nelly Furtado and fly like a bird. It may seem strange, but I know many Orcadians that still refuse to use a ferry and instead prefer to fly. Despite being an island race, some locals harbour a deep fear of the sea and what it is capable of on this wild northern coast. 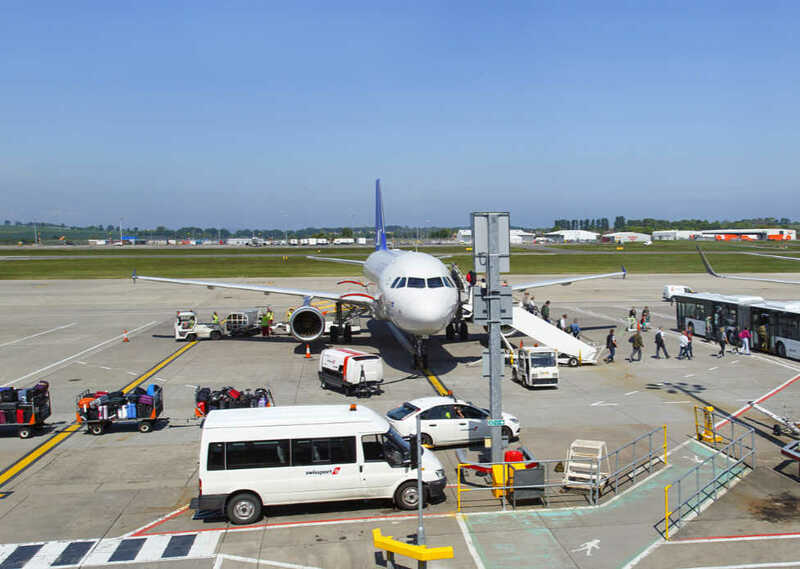 The Scottish airline Loganair (once a division of Flybe) operate regular flights from Edinburgh, Aberdeen, Glasgow and Inverness to cosy Kirkwall airport, just 10 mins drive from the town centre. The planes are compact, featuring as many as two propellers, plus there’s no long queues for baggage on arrival. It feels like a private charter flight with a tartan twist, check out the paint job. It’s all very convenient too, but you will need to hire a car, unless Kirkwall is your only destination. If you feel like spending a little more, British Airways also fly direct from Edinburgh, Glasgow and Aberdeen to Kirkwall. 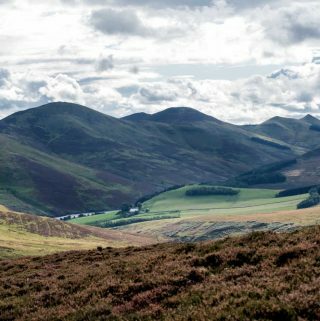 But be aware that prices can be double that of Loganair and there is not a big difference in the plane. 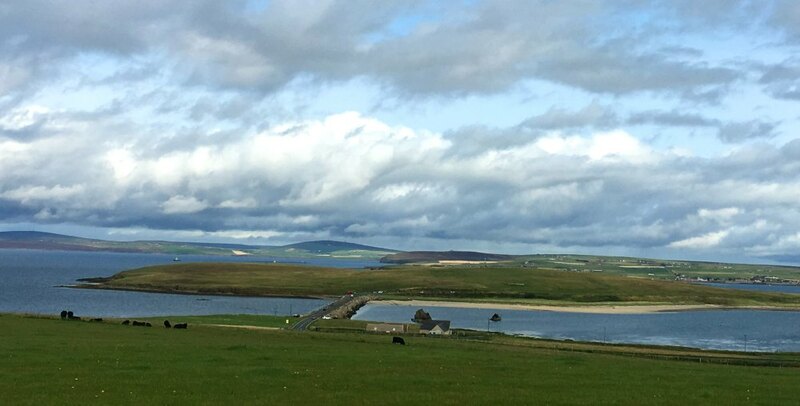 Once you arrive in Orkney you may also wish to use Loganair to island hop. There are flights between the mainland and the outer isles such North Ronaldsay and Eday. 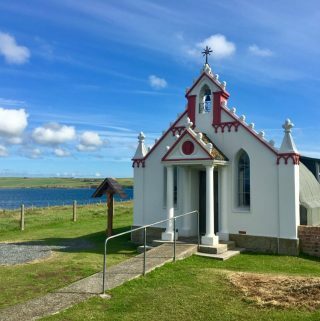 Why not experience the famous flight between the islands of Westray and Papa Westray, it’s world’s shortest scheduled flight and takes a whopping 2 minutes! Jet lag is not a problem.